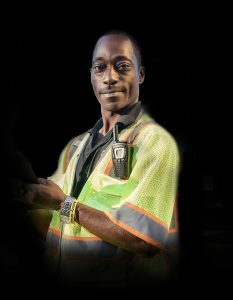 Almost 10 years ago, Ben Johnson joined Flagger Force as a Crew Member at the King of Prussia Operations & Training Facility. Since joining, Ben has worked his way through Flagger Force’s career progression track to his current role of Assistant Manager of Quality at the Richmond Operations & Training Facility. Flagger Force: Ben, we appreciate you taking the time to speak with us today. When you first joined Flagger Force, what did you like most about the job? Ben: I have always enjoyed spending time outdoors, so the ability to work outside was very appealing to me. Before joining the organization, I installed dashboards in cars at a General Motors plant near New Castle, DE. I grew weary of being inside all day, so I made a change. I began working two jobs, one with Flagger Force during the day and another cleaning restaurants at night. Both jobs took place at different work locations, which provided a nice change of scenery. Once I realized the possibility of having a full-time career with Flagger Force, I left the night job. Flagger Force: What stuck out to you the most about the career progression track? Ben: I like the fact that I spent about a year and a half as a Crew Member. I traveled to different parts of Pennsylvania and built a deeper understanding of work zone set-ups. I wanted to have a full understanding of state standards for set-ups, which requires a lot of time and experience. Luckily, Jenn Harmon, Assistant Manager of Quality for the Harrisburg Operations & Training Facility, took me under her wing and became my mentor. I was able to turn to her when I had a complicated set-up or needed someone to talk to about the job. 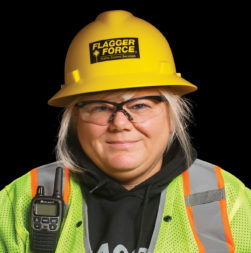 As my roles at Flagger Force progressed, she was and continues to always be there for me. Flagger Force: Can you share an experience of how having a mentor has helped you? Ben: As I said, Jenn has always been there for me. There was a period of time when I lost a few significant members of my family and I felt very depressed. But thanks to Jenn and other people on the team, I was able to keep myself together and stay positive. Flagger Force: You seem to be a very positive person. How do you not let day-to-day job frustrations get to you? Ben: There was one time where I let a bad experience get me angry when I was actively flagging in a rural Pennsylvania town. A woman who was driving her vehicle was not paying attention to the traffic pattern and almost hit me. I utilized my escape route and when I realized what happened, I lost my cool and so did the motorist. When I arrived at the King of Prussia Operations & Training Facility to discuss the incident, I realized I had handled the situation incorrectly. It is important to remember that I only have a few minutes of interaction with these motorists until they drive away, and I need to continue on with my day without letting negative interactions affect me. Flagger Force: How did you become a member of the Virginia management team? Ben: When Flagger Force first announced they would be moving into Virginia, I saw it as a great opportunity to try something new. I had family who used to live in the state who always said great things about it, so I wanted to experience it for myself. I was a Senior Field Specialist with the King of Prussia Operations & Training Facility when I applied for the job. When I was hired for the position, I immediately started my Branch Expansion Team training with the Flagger Force Academy. 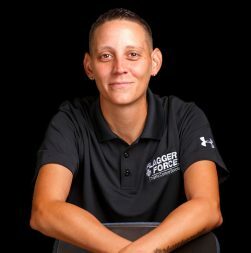 Flagger Force: How did the Flagger Force Academy training help you transition into this new role? Ben: I realized a lot about myself that I didn’t know before. I never realized I was good at public speaking or at making quick decisions. The training gave me insights into the good, the bad, and the ugly of being a branch manager and how to deal with everything that may come my way once I started my new position. Going through the training also helped me when I assisted in the training of colleagues who were transferring to the Pittsburgh Operations & Training Facility. In addition to the academy training, one book that really helped me prepare was the One Minute Manager. Reading that book gave me some key skills that I implemented into my new role in Virginia. Flagger Force: You have moved a lot during your time here at Flagger Force. How does your family feel about you being away? Ben: Luckily, my boys are grown now. Justin (23), Chad (20), and Shycree (16) live in the Pennsylvania and Delaware area. I miss them, but I talk to them almost every day. Personally, I believe it is always good to experience new things, even if that means moving to a new area. Flagger Force: When you share your experiences with new Crew Members at Flagger Force, what are some of their first impressions? Ben: I enjoy sharing my story with new employees, especially ones I meet in the Flagger Force Academy Crew Member course. I can tell that when I start to share my previous experiences and growth with the company, they don’t believe everything I tell them at first. I always tell them you have to put in the work in order to get the advancement opportunities that you desire. I have worked very hard to get where I am today, but that is just a part of my DNA. I never forget where I came from, and neither should anyone else. I always tell people to take the time to share their joys, successes, and pain with others around them. I have made some amazing friendships here at Flagger Force with that mentality.